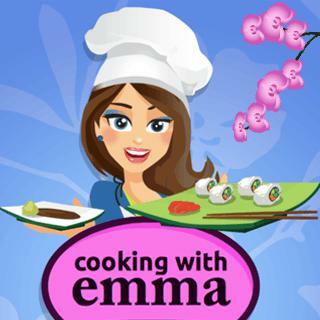 Play Sushi Rolls - Cooking With Emma and more Girls Games on Games1.com! It's Sushi time! In this title of the "Cooking With Emma" series, Emma shows you how to make delicious Sushi rolls - without any meat or fish. Not only vegetarians and vegans will love this dish! Help chef Emma to prepare and processe the healthy ingredients step by step until you can finally serve those tasty Sushi rolls. Enjoy!